Nigeria: Will We, Like Christ, Embrace Those Who Suffer? I returned to my room on the mission compound after our team had spent another day ministering to Nigerian Christian widows whose husbands had been killed by radical Muslims. But I couldn't pray — not yet. 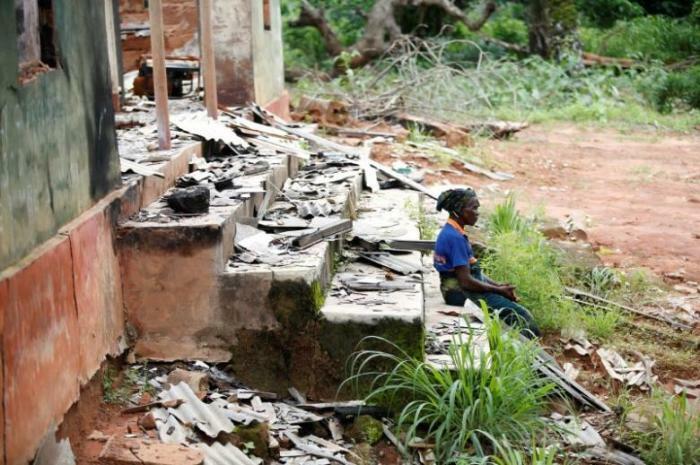 Islamist attacks on Nigerian Christians in recent years have resulted in the burning of scores of churches, the execution of thousands of men, the abduction of hundreds of girls and the widowhood of more than 5,000 women. One moment, I was too angry to pray. The next moment, too sad. I wanted to scream, and I wanted to weep. As a former military officer, my mind began to wander as I tried to imagine a military strategy that would capture or kill every violent extremist. Of course, it was fantasy because there is no such strategy. I needed to pray. I couldn't carry the burden. I began, "Heavenly Father, these precious widows are your children. Show me how I can serve them again tomorrow. Do not let me give in to frustration, anger or hatred." The Muslim extremist group Boko Haram, based in northeastern Nigeria, continues to pursue its goal of either eliminating Christians or oppressing them under a severe interpretation of Sharia law. In addition, Fulani Islamic militants, the same group that in 2010 massacred more than 500 Christians in the village of Dogo Nahawa, continue their increasingly violent jihad against our Nigerian Christian family. The Fulani pose an especially terrifying threat. As a nomadic people, they roam the countryside with their livestock and attack any village in the north without warning. The Voice of the Martyrs' (VOM) regional director for Africa recently characterized the situation with these ominous words: "The threat of attack is not limited to Islamist-controlled territory. Now, nowhere is safe." Sadly, those words have proved true in recent months. Over two days in June, about 500 Fulani Islamist fighters attacked Christian homes and villages in Barkin Ladi and Jos South, just outside the city of Jos in the Middle Belt of Nigeria. By the time the attacks had ended, hundreds of Christians were dead and as many as 12,000 were displaced from their homes. VOM is currently providing $500,000 in emergency support to more than 1,342 Christian families that have been displaced by recent Fulani Islamist attacks, and it is now clear that we will end up providing a total of approximately $3 million in aid there this year. We are always blessed when we are able to serve other members of the body of Christ and share their burdens. In working closely with our persecuted Nigerian brothers and sisters, we have received two powerful gifts from them. The first gift is an understanding that God's joy, rooted in their eternal hope in Christ, is stronger than their sorrow. Our Nigerian brother Zwandien exemplifies that joy. His sister was shot to death by Fulani Islamic extremists when she refused to deny her faith, but Zwandien's response to his great loss is, "There is still hope. Whatever happens in this life, so long as one is still in Jesus Christ, there is always hope." The second gift they have given us is the knowledge that the gospel is powerful enough to transform even the most sinful among us. Our Nigerian brother Abel was once enslaved to the false religion of Islam, but by God's grace he embraced Christ. Although he faced persecution from his own family members, his faith in Christ remains unshaken. "I am not going back to Islam," he said, "because what I have seen is the truth and I have made up my mind to stand on that truth." As our bold and faithful Nigerian family members reach out in love to their enemies, the gospel triumphs over the lies, darkness and depravity of radical Islam. The power of Islamic extremism to inflict suffering in this world is nothing compared with the gospel's power to transform people for eternity. To be like Christ, we must choose to walk with others amid their suffering. That choice is always difficult because our fallen human nature attempts to lead us away from suffering and toward safety and comfort. Christ did not remain in the perfect protection and comfort of heaven. He lived and served among those who suffered most — including the crippled, the impoverished and the leprous. How strong is your relationship with our suffering, yet faithful and joyful, Christian family in Nigeria? Whether weak or strong, we pray that you will find inspiration and joy as you remember our Nigerian brothers and sisters as if you lived among them in their villages, fled with them in their panic, prayed with them in their trials and sang praises with them in their victories. Cole Richards serves as president of The Voice of the Martyrs (VOM), a nonprofit, Christian missions organization that has served persecuted Christians worldwide for more than 50 years. He has ministered in more than 40 of the world's most difficult missions frontiers. Prior to entering full-time ministry, Cole served as a military officer whose work focused on countering Islamic terrorism. Cole is featured in a new small group study on the life of VOM's founder Richard Wurmbrand and his Christian classic, Tortured for Christ.